As the 12th January approached the hardy D-Zero sailors who had signed on for the 2019 Bloody Mary were watching the forecast with much trepidation. It looked like there might be a repeat of the event in 2015 when it was extremely windy. However, on the day the conditions were ‘nice to a bit full on at times’ rather than the wind apocalypse that was feared by most. The other big news was that Nick Craig, after his success at the Brass Monkey in light conditions, had returned for another go. This time he borrowed the UK D-Zero dealers personal boat for the event whilst waiting to take delivery of his own. Nick needs no introduction and already has some of his own ideas on making the D-Zero go fast despite his short time in the boat. 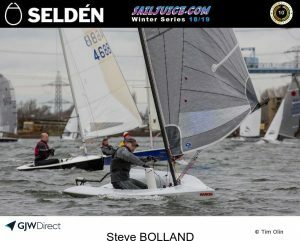 The current UK National Champion Steve Bolland also came out of hibernation for the day to test his mettle and enjoy some winter racing. With some 242 entries for the event and the race being a pursuit it was always going to be about managing the traffic and passing the slower boats without losing too much time to them and getting involved in luffing matches. 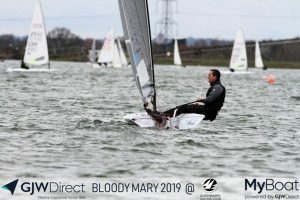 Nick showed the rest of the D-Zero fleet a clean pair of heels and managed to make his way through the traffic to finish 40th overall and take the D-Zero class prize. Steve Bolland took 2nd in class and 88th overall with Tom Southwell completing the class podium in 132nd overall. There were grins all round on the day especially from class stalwart Nigel Austin who was asked by Nick to check he had rigged the boat correctly. Nigel, being the fine upstanding fellow that he is, fulfilled his task admirably and nothing went awry. So overall in the D-Zero Winter series the top 3 remain unchanged with Tom still topping the pile but the gaps are closing with Nigel and Andrew now tied on points for second place with the latter taking it on countback at present. Nick shoots up the standings to 4th place but is unlikely to do any more events in the series in a D-Zero as he has other commitments (including flying off to New Zealand for the OK World Championships, we wish him luck and fair winds). There are a number of other D-Zero sailors who could get involved with the top 3 and with 3 events still to go anyone who has done at least 1 event can do enough to not carry and DNC scores. for full results please click here. 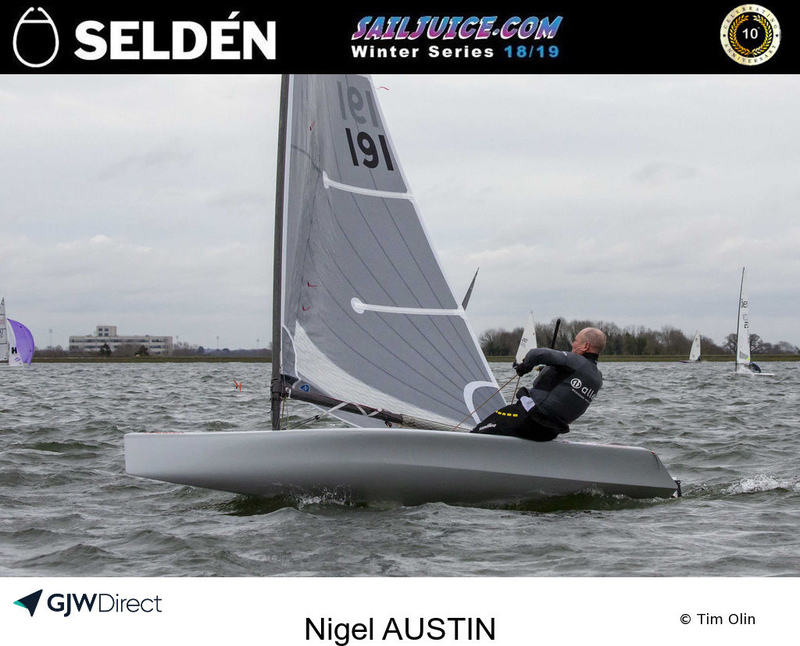 In the Selden SailJuice Winter series overall standings Tom is now the leading D-Zero in 18th overall climbing 4 places with Andrew Spencer in 25th dropping a whopping 16 places Nick moves up to 45th climbing 40 places and Nigel is in 57th climbing 14 places. In the Top Class standings the D-Zero remains in 5th place within reach of the classes in front. With 2 events still to go there is still all to play for. From here the D-Zero Winter series moves on to the Steve Nicholson Trophy at Northampton SC. 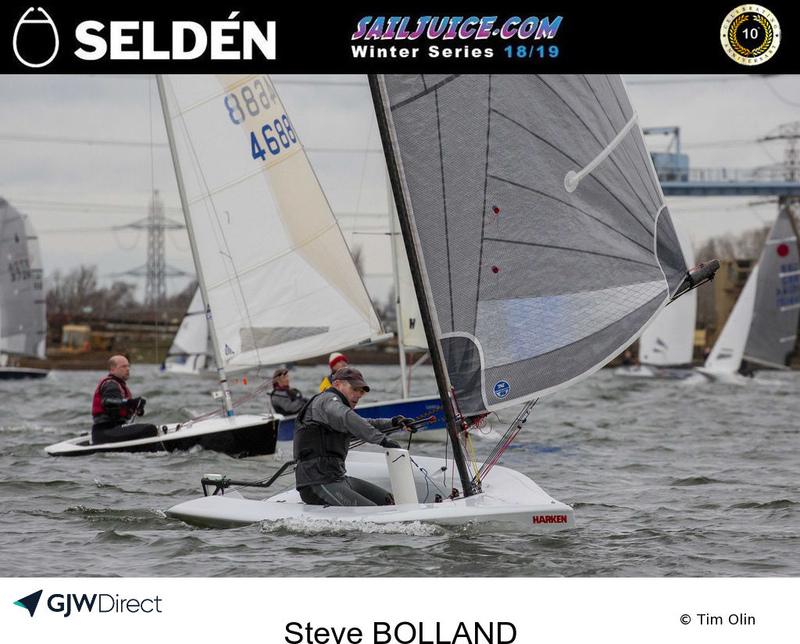 This event is not part of the Selden SalJuice Winter Series and you must enter online. This can be done by clicking here, do not leave it too late though as this event is always full before the entry deadline arrives.